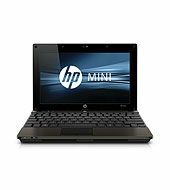 The redesigned HP Mini 210, an affordable companion PC, gives consumers all-day computing, optional high-definition (HD) video playback(1,2) and a broad range of color options in a new slim design. The HP Mini 5103, HP’s latest touch-enabled mini notebook, is designed for students and mobile professionals alike. It incorporates the latest dual-core Intel® Atom processor and features an all-metal case in a new espresso color.